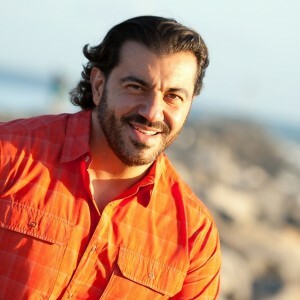 Tag Archives for " Fit Body Boot Camp "
My guest for this week’s episode of the Duct Tape Marketing Podcast is Bedros Keuilian, founder and CEO of Fit Body Boot Camp and a fitness industry consultant for marketing and business development. We discuss business growth and the fitness industry. Keuilian shares his story of hardship and immigration from a communist country and how those struggles drive him today as he creates the fastest growing fitness franchise on the planet. Listen closely and you’ll hear how he transformed his own thinking to the point where he felt unstoppable and today is running company with so much momentum he’s finding it hard to hang on. He boldly declares that his point of difference is they do one thing and they do it better than anyone else – a huge lesson for many small business owners! Narrow your focus and grow. His is both an inspirational and educational story and Keuilian is definately someone to keep an eye on. What was it like being a young immigrant in the United States? How do you differentiate yourself in such a competitive market? What kind of metrics do you follow as the owner of such a large operation? Why consulting is a great business model to pursue, regardless of industry.